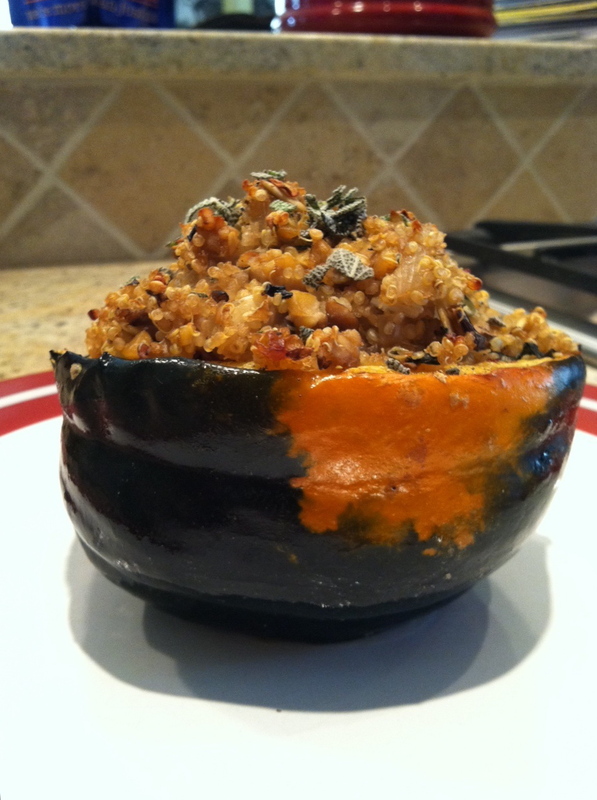 This entry was posted in Comfort Food, Main Dish, Recipes, Side Dishes, Uncategorized and tagged acorn squash, comfort food, quinoa, quinoa stuffed acorn sqash, tempeh, vegan, vegan Thanksgiving, vegetarian, vegetarian Thanksgiving. Bookmark the permalink. I tried this dish (compliments of Kirsten 🙂 and it was absolutely DELICIOUS!!!!! This looks delicious! I love the addition of raisins and pine nuts. yum. I think I would have to use chickpeas over tempeh, as Tempeh and I are not friends. Did you saute the dice/chop mixture first, or did it go in raw?? Kirby — Nice catch! I have no appropriately placed “and saute” where it belongs in step no. 3.